When describing Canada and Alaska, from soaring mountains to striking glaciers and floating icebergs, we simply have to use words like ‘wondrous’ or ‘awe-inspiring’. 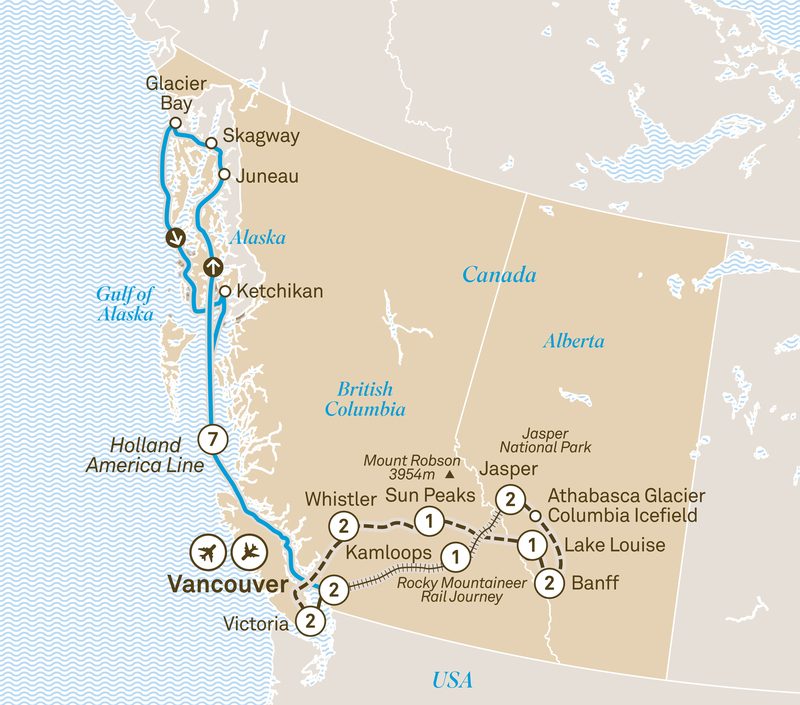 There’s no other way to convey the wonders of a region that is home to both the magnificent Icefield’s Parkway and Inside Passage. It’s a region that harbours the grizzly bear, perhaps planet Earth’s greatest predator, as well as the mild-mannered moose. On the one hand you can look forward to the charming English-influenced Victoria, on the other there are towns so remote that they can only be accessed by air or sea. This itinerary showcases all that and more – beautiful scenery, fascinating towns, a friendly and inviting culture, and glorious national parks. Simply awe-inspiring.